The photos are for reference only. The black grille guard on vehicle is the exact grille guard except it is not stainless steel. 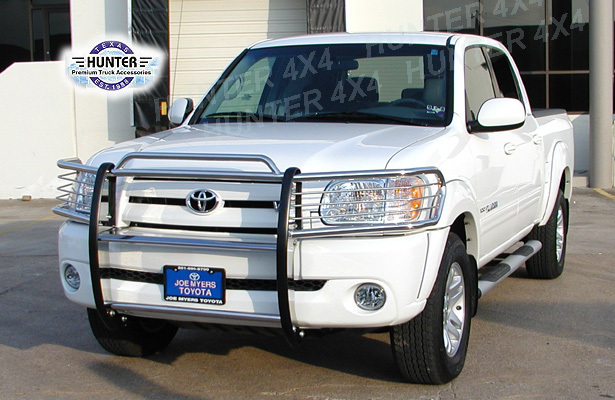 The closed-up stainless grille guard photo is only a sample of the stainless grille guards we sell.